Abdoo is the executive chef and partner of Pig Beach in Gowanus and the newly opened Pig Bleecker in Manhattan's Greenwich Village. He is the former chef de cuisine at chef Mario Batali's Del Posto. 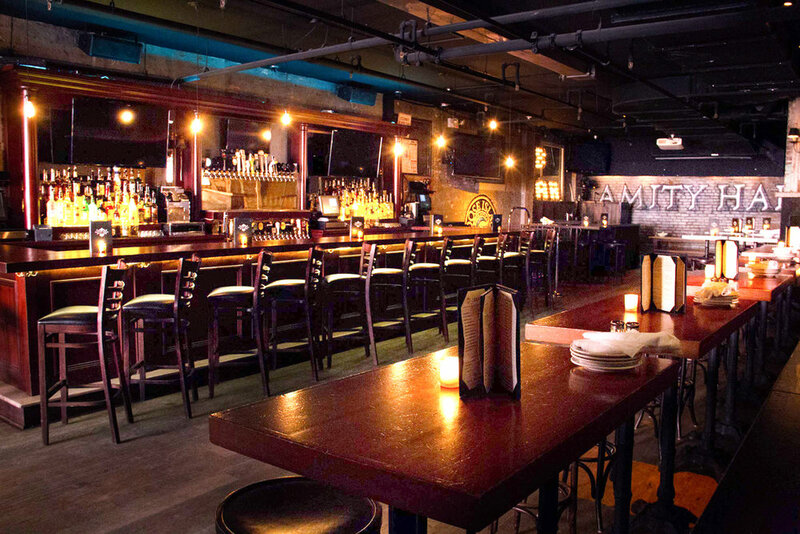 "Pig Beach and Pig Bleecker both stemmed for my love of BBQ. We started Pig Beach in Gowanus, Brooklyn shortly after placing first in Poultry and second in Whole Hog during my very first Memphis is May barbecue competition." We just opened up in Greenwich Village (corner of Bleecker & Thompson) in January of 2017. 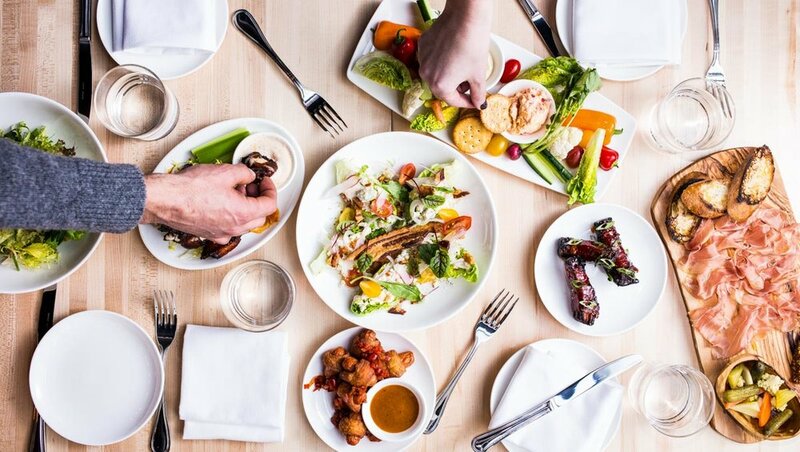 It's a more "upscale" dining experience in that we incorporate a broader scope of "smoke-centric" dishes like Brisket Ravioli with Black Truffle Butter & Barolo, Linguine "Cacio e Pepe" with Smoked Black Pepper & Pecorino, and Smoked and Fried Whole Chicken with Cheesy Grits & Honey. We have a really great team heading up our wines and cocktails with Michael Greenlee, who co-founded the American Sommelier Association, selecting our wine list and we're really lucky to have Sarah Morrissey (formerly of Dutch Kills & Dear Irving) heading up our cocktail program with some really killer cocktails. 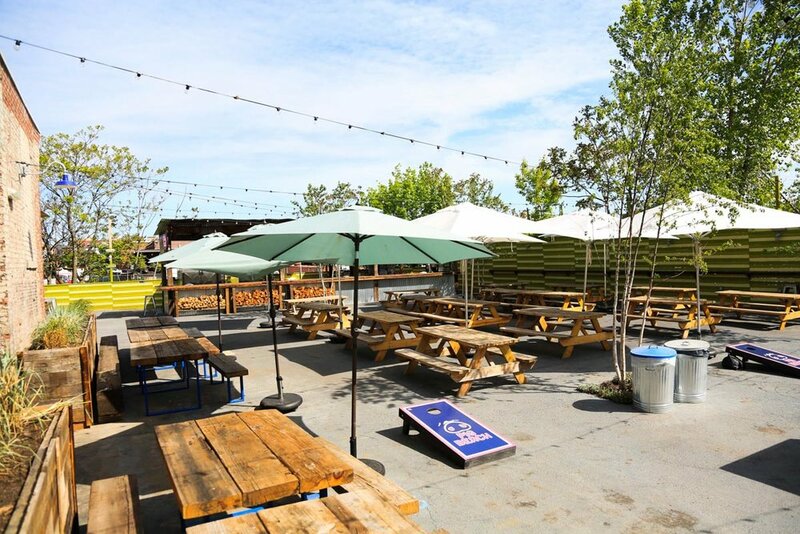 Pig Beach is an indoor / outdoor BBQ Beer Garden right on the Gowanus Canal. It's a beautiful neighborhood and really fun summer spot made better by frozen drinks and BBQ staples like Baby Back Ribs, Pig Beach Burgers, Hatch Vinegar Wings, Mac n' Cheese, Purple Coleslaw, and Chocolate Peanut Buckeyes. It's really a great seasonal destination for friends and the whole family. Union Square Greenmarket | Photo Credit: ©Find. Eat. Drink. Oh man, New York has so many good markets, but I'm a huge fan of the Greenmarket at Union Square. They have some really great vendors that hail from New York, Pennsylvania, and New Jersey with some of the freshest and inexpensive ingredients. I feel very fortunate that Pig Bleecker is just down the street and that I've been able to take take advantage of such a great program. Di Palo's Fine Foods | Photo Credit: ©Find. Eat. Drink. It's in Little Italy and I love it because there's always inspiration for a new dish among the choices of artisanal cheeses, cured meats, and all things Italian. There's no shortages of places to eat around Pig Bleecker, but I personally love it when I have cash on me and can hit up Mamoun's Falafel. Their falafel is my favorite and I can't live without their spicy red and white sauces and a side order of their hummus. I'll hit up Ample Hills, especially on summer days when a cold, sweet treat is in order. They make all the flavors on-site at their Union Street location and the Bourbon Street is my absolute favorite. They bake their cupcakes from scratch every day and have these center-filled cupcakes like Peanut Butter Nutella and Cake Batter that are just so so good. I have to remind myself not to make this a habit. I have a huge sweet tooth and I have a wife who is 6-months pregnant, so right now we are loving Sockerbit. It's a bulk-candy store with a huge variety of imported Scandinavian gummies that are just so delicious. I have always been a huge fan of Lupa. Their Cacio e Pepe is one of my absolute favorites and a big reason why I was inspired to include the dish on the Pig Bleecker menu. I can't get enough of Rubirosa. This is a meal that will never get old in my book. My favorite is the vodka pizza with pepperonis. I personally like Amity Hall on West 3rd Street and Malt House, which is right across the street from us on Bleecker Street. If I'm wrapping up a busy shift and in need of just a snack before heading home, I tend to stop at Ben's Pizzeria. It's a no-frills pizza joint with a pretty inexpensive slice that just delivers what I'm looking for every time. Try as you might, you just can't beat a slice of classic NYC pizza to end the day.